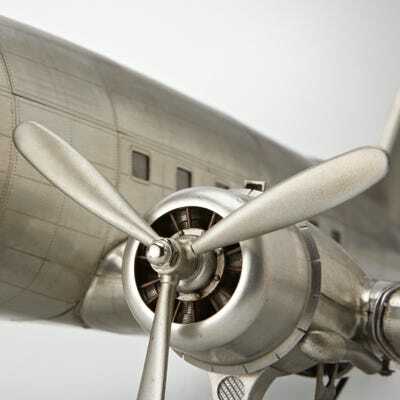 The Douglas DC-3 is an American fixed-wing propeller-driven airliner, the speed and range of which revolutionized air transport in the 1930s and 1940s. 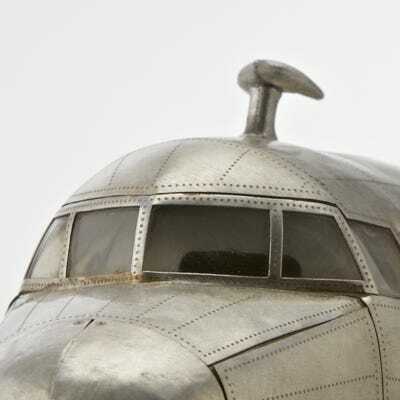 Its lasting impact on the airline industry and World War II makes it one of the most significant transport aircraft ever made. 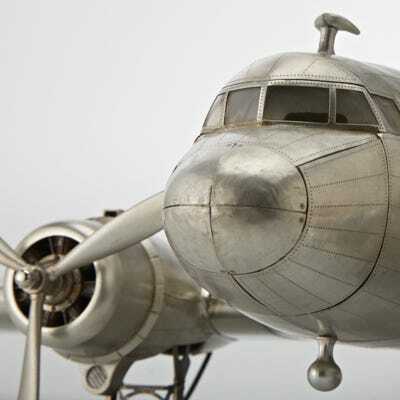 This highly detailed Model features a see through cockpit, passenger windows, rubber wheels that move, propellers, extreme engine detail, etched metal sheets with rivets and is hand-made from aluminum. 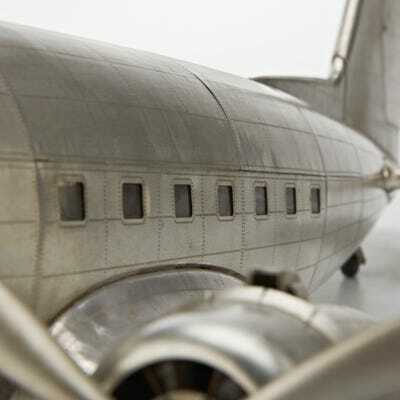 The ailerons, tail rudder and horizontal stabilizer feature moveable parts. The wings remove so some assembly does apply. Included display stand also requires simple assembly. 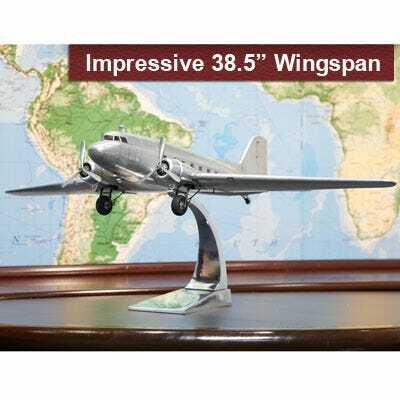 This impressive Model measures about 6.5”h x 26.5"l with a wingspan of 38.5”.